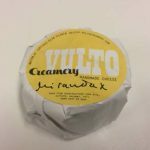 Vulto Creamery Cheese Recall News – Vulto Creamery of Walton, New York, has recalled all lots of its Ouleout, Miranda, Heinennellie, and Willowemoc soft wash-rind raw milk cheeses after U.S. Food and Drug Administration (FDA) testing detected the presence Listeria monocytogenes in the company’s Ouleout lot # 617 product. In addition to the FDA’s results, the New York Department of Agriculture and Markets reported possible Listeria contamination of Ouleout lot #623. Listeria monocytogenes is a bacterium that can cause a serious and life-threatening foodborne infection known as listeriosis. Listeriosis affects primarily young children, frail or older adults, individuals with weakened immune systems, and pregnant women. If a pregnant woman experiences a Listeria infection, bacteria may cross the placenta causing a miscarriage, premature delivery, still birth, or an infection in the new born. Persons not belonging to one of these high risk demographic groups can also experience a severe case of listeriosis. 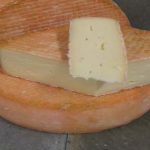 The recalled soft raw milk cheeses were distributed nationwide, with most being sold at retail locations in the Northeastern and Mid-Atlantic States, California, Chicago, Portland, and Washington, DC. Please see Food Poisoning Lawyers NY and NJ to learn more about Attorney Eric H. Weinberg. If you or a loved one has been injured in the current Listeria food poisoning outbreak linked to the Vulto Creamery Cheese Recall, and you would like more information concerning your legal rights, please call our firm toll free at 877-934-6274. Our phones are answered 24/7. The company press release can be found on the FDA Recall Website.